Cut off the ends of the green beans and put them in a large bowl with the olive oil and spices. Sprinkle in some salt and pepper and toss until the green beans are well coated with the oil. 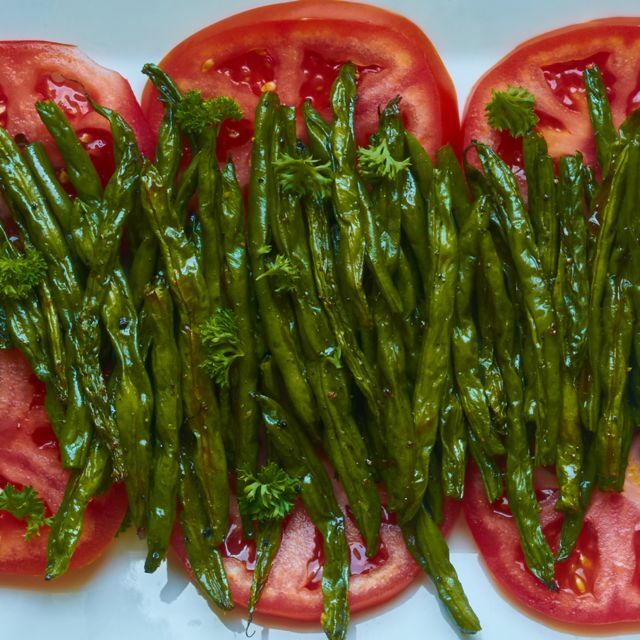 Lay green beans in a single layer on a parchment lined baking sheet. Roast in oven for 40-50 minutes, until the green beans are wrinkly but still maintain some of their green color.